Life or Death. It's the choice to be made within the Alba Rosa Pack when the Beta and his mate discover that they have been blessed with twins. Desperate to save the members of his pack, Alpha Jay calls in a strange healer to help. Gypsy. Wanderer. Daisy. Her strange names carry with her as she arrives at Jay's pack. But the moon's fate has many other plans in store for Jay as the healer comes in and shakes the very foundation of his world. 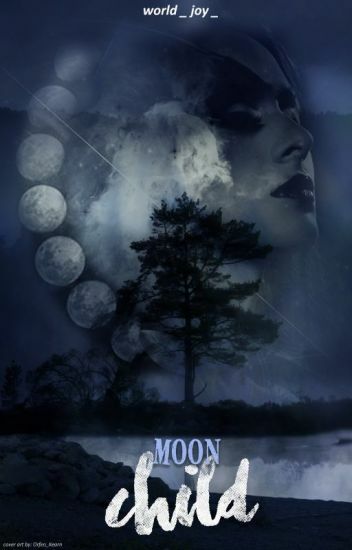 Meeting his moon blessed mate through such unusual circumstances, Alpha Jay fights his way through his own consuming past as the future collides with him. As he struggles with the darkness that has been growing inside within his wolf. In the end, after all the love, heartbreak and saving is done, one can only blame the outcome on her gypsy soul. It's with the other defects in the outer rings. In her world where perfection and Unitarianism are the only options, and all who don't fit the mold live out their lives in the slums of the outer rings she's used to doing whatever it takes to survive another day. Fighting in the pits and helping out at the baker's hut  has become her daily routine for so long that Malikah doesn't expect anything out of the ordinary. But that's exactly what she gets. With her hard earned savings in hand, ready to buy her own pair of shoes she goes to the market place, but instead of shoes, a mysterious necklace seems to literally be calling to her, begging her to buy it. And her whole life changes. With the help of a handsome stranger and a insanely strange group of people who say she belongs with them, Malikah may just find that she doesn't know her place after all and her world, might not be the only one there is. Thrust into adventure filled with strange creatures, Gods, betrayal, destiny, and maybe even love, Malikah must stay true to herself if she wants to not only save the world, but fulfill her destiny. "If I don't belong here then where do I belong?" "Not with me," he replied easily, his voice not wavering as he stared at her with a hard expression. "You belong with other wolves, with a pack." "I'm not the kind of wolf that you need." "Sol," she begged him, pleading with her tone as tears streaked down her face. "Please don't do this." He ignored her, only turning around and walking out of the front door, already grabbing her suitcases which he had pulled down the stairs earlier. He walked out of the cabin which they had shared for the past few months and began loading all her bags into the back of the truck, ignoring the immense amount of pain and sorrow that he could feel radiating off of her. After he finished, he sat in the driver's seat and waited patiently for her to join him. When she did, her cheeks were now dry. Her puffy, red eyes were the only tell-tale that she had been crying only mere moments ago. "I'm only doing what's best for the both of us," he muttered quietly, more so to reassure himself than her. But his words fell on silent ears as she didn't even acknowledge his words, just stared ahead. Exhaling, he twisted the key and the engine purred to life. In a few hours it would be back in front of the lone cabin in the woods, but this time with one less passenger. She managed to run away and met Jason, a werewolf. His family took her in and treated her as their daughter, while keeping her real identity a secret. She never had any real friends except for Jason since no one could know the truth about her. People like her were rare and not accepted by everyone. One day though, after an alarming incident, Sophia was sent to a boarding school for her protection. A school only for the supernatural. Did she even fit in though? She was more human than a werewolf and was surrounded by supernatural beings she never thought existed. All she could do was wish for a quiet senior year. She didn't get her wish. Snow at the short age of seventeen has managed to become the leader of a powerful and well known gang, not only that but she is the Luna of a pack, she is known as the Ice Queen due to the fact that she never gives a second look to anyone much less a second chance, life has been cruel to her and has taught Snow to only rely on her pack no matter what. As many know she is an orphan but not everyone knows why, they all blame it on a car accident as Snow has told everyone but that is not true. Snow has been hiding from a man for ten years, Rick Stone. He is the devil himself. At a young age Snow was witness of how her family was murdered by Rick's pack and was ripped apart from her brother. She was saved by a pack, but never heard about her family, what was left of it and never heard about Rick again. Due to everything in her life Snow is afraid, afraid of love, of having someone you love so much being once again torn away from her, she is afraid of  belonging to someone. She is determinate to keep herself away from everyone that can harm her, even love itself, but life has other plans for her. Because everything changes once she meets Eric, who is her soul mate. And he is more than determinate to have her, but Snow herself has a secret since she has been crushing on someone from her own pack for months now. And most important will she put her soul mate or pack first? My skin prickled from the odd sensation of the warmth radiating off of him like an oven, I could smell him from this close and trust me when I tell you he smelt good. Like baked apple slices sprinkled with sugar as well as cinnamon and the spicy musk of sandal wood. I just wanted to close my eyes and fill my nose with his scent, so that's exactly what I did. At least I'd smell something nice before I die. I swear I heard someone groan as I inhaled his intoxicatingly perfect scent, maybe my ears need to be checked. I felt something graze the skin of my neck and prepared myself for the end, I knew any moment a pair of sharp jaws would clamp down on my neck and crush the life out of me. I squeezed my eyes even tighter and contracted every muscle in my body awaiting my end. I waited. Still waiting... Can't he just hurry up and kill me already. I looked up at him and saw one of the most shocking sights I've ever seen. Alpha Hunter had his eyes close and was in the midst of deeply inhaling the scent from my neck, let's just say my jaw hit the floor at such a sight. "Ladies and gentlemen I do believe Alpha Hunter of the Red Druids pack has found his mate, if he chooses to accept her." Microphone guy announced his voice dripping with disbelief. Aspen a badass she-wolf soon discovers her fate may not be a glorious victory, but a struggle like none other. It seems her future has been closely entwined with Alpha Hunter Bloodmoon, also known as the Shadow Alpha. His skin is rumoured to be unbreakable, his teeth as sharp as knives, his eyes as deadly as nightshade. Taking over territories in a single night and leaving nothing more but an empty battlefield. How will Aspen learn to destroy Hunter's icy exterior? Or will it destroy her? Get ready for a story filled with action, fighting, romance, betrayal, swearing, and DEATH! Liam Roberts is now 22 after his first mate died, and rejecting his second chance mate, Bella, he is living his life solo. Layla King, Bella's bestie, has been in many relationships but can't seem to hold onto the men. She is slowly losing hope in everything. On the fateful day that Bella invites Liam to her wedding, Layla and Liam's lives are transformed, without them even knowing. She is still shaking and naked and my wolf and I are very turned on, but I push all of my dirty thoughts away and move towards her slowly. I rip off the handcuffs and she crawls into a corner of the bed, curling up in a ball.